Over the last few days, I've had the opportunity to read “Knight of Light” by Deidra Eden. Not only is this the first book in Eden's “Watcher” series, but it is also the first book that she has published. The story take place in mideval England, and chronicles the adventures of, Auriella, an orphaned 13-year old girl, who finds she must flee her village after being accused of being a witch. In this fantasy adventure, Auriella comes across a number of mythical creatures and races, including pixies, dwarves, fairies and dragons. As the story goes on, Auriella begins becoming aware of mystical abilities she has that normal humans do not possess. While early on, she works to hide, suppress and deny these abilities, she gradually learns that she has these abilities for a reason, and that she can use them to make a positive difference in the world. While it admittedly took some time for me to really get into it, overall “Knight of Light” was a pleasant read, and there was definitely a great story contained in it. One of the things that made it difficult was that the writing style. While Eden has stated that the book is intended for all ages, I would place it as more fitting for older children or younger adolescents. Earlier in the story, there was very limited characterization or exposition. The book was written in first person, and the character often spoke as if the reader is already familiar with the fantasy elements that are unique to the book. While there is more explanation later, the earlier chapters had me scratching my head and wondering what the characters were talking about (or what it was that Auriella was thinking about). In addition, some characters come off as one-dimensional, with no real motive for their actions ever being explored. There were a couple of themes I did enjoy. 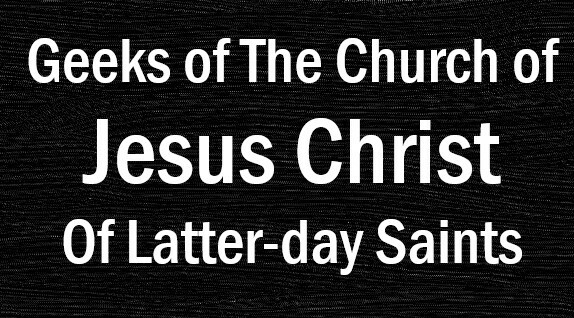 Without giving any spoilers, I will just say that I was intrigued by the analogy of the race of heroes and the race of villains in the book play to the Council in Heaven that is recorded in the Book of Moses in the Pearl of Great Price. Eden has also stated that there are elements of the book based on other religious texts as well, though I am not familiar with them enough to recognize them. The other theme I enjoyed was Auriella's growth. She goes from a young girl who fears her abilities and hides them from others in an attempt to fit in, to accepting them, and eventually embracing them to protect those she loves and to fight the evils of the world. So, even though I wasn't a big fan of the writing style, I did enjoy the story. In the end, Auriella became a character I very much liked, and I'm interested in seeing where her adventures take her in the books. 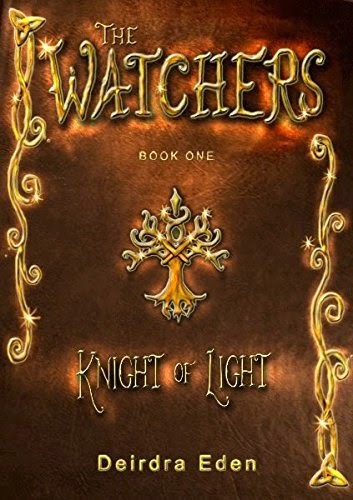 If you want to win a free copy of The Watchers Book 1: The Knight of Light, click on the link below, plus check out the trailer and meet the author, Deidra Eden! In England, 1270 A.D., Auriella (pronounced yurr-ee-ella) flees her village after being accused of witchcraft. Pursued by nightmarish creatures, she struggles to accept the truth about her humanity. Filled with fairies, dwarves, pixies, dragons, and monsters, Knight of Light is an enthralling tale that will capture the imaginations of readers young and old. The Watchers Series has been described as Braveheart meets Supernatural. The mythology for the series is based on many theological texts from dozens of sects with correlating themes. Ancient writings include The Dead Sea Scrolls, The Traditional Apocrypha, The Pearl of Great Price, and The Kabbalah. “The Watchers” are supernatural beings in human form whose duty it is to protect and guard mankind from the armies of darkness. Unfortunately, as the Book of Enoch mentions, some of these Watchers go bad. Although the mythology is based on these texts, Deirdra Eden’s The Watchers Series is written in a traditional fairytale style with a young girl’s discovery of incredible, but dangerous powers within herself, a cast of humorous side-kicks, a quest for greater self-discovery and purpose, and villains of epic proportions. "My goal in writing is to saturate my books with intrigue, mystery, romance, and plot twists that will keep my readers in suspense. I want to see fingerprints on the front and back covers where readers have gripped the novel with white knuckles! Aside from writing, I enjoy jousting in arenas, planning invasions, horseback riding through open meadows, swimming in the ocean, hiking up mountains, camping in cool shady woods, climbing trees barefoot, and going on adventures." Find Deirdra Eden and The Watchers Series online on Amazon, Deirdra's website, Facebook, Twitter, Goodreads, Wattpad, and Pinterest. Why go to Salt Lake Comic Con?